I have no idea what comes next until I do it- winging it as I go. I am maybe stopping at 60 inch square for lapghan, but also thinking why not just make a queen size bed cover??? That is a lot of work, lovely! Oh no! Leave it at 48 and display it . No one will see it in bedroom. It is beautiful and should be enjoyed! Gorgeous! 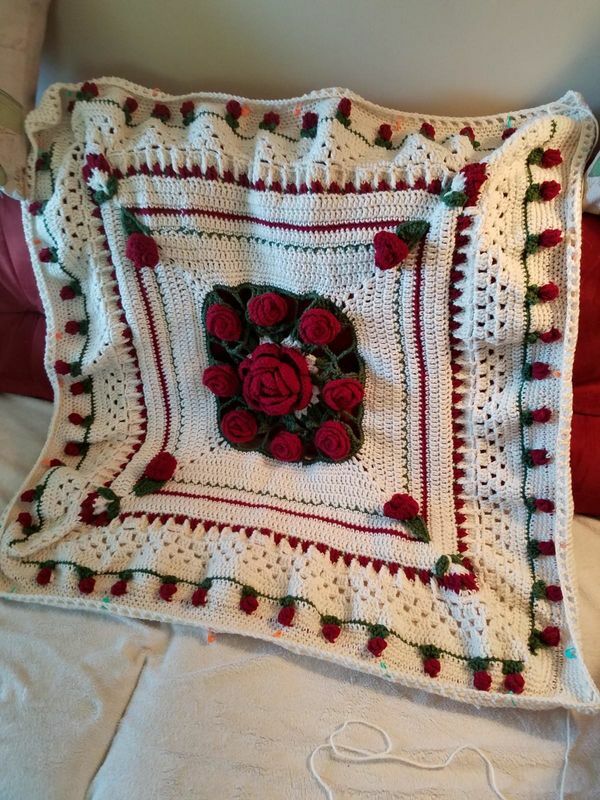 I made a flower afghan for my mom, which she won’t use because it’s too pretty to spoil. I hope yours gets some use! Beautiful! When you said a bed cover, I could see it in my mind. I hope you do that. That is coming along spectacularly! Can't wait to see what comes next!